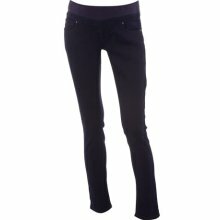 I think my major pants investment is going to be a pair of maternity skinny jeans. And then I thought about what an oxymoron this is. As my weight slowly increases, I never thought that I'd want a pair of skinny jeans made for my expanding tummy. I still have money left in my "maternity budget," so I might just make a purchase.